Beat the heat with this Giant Inflatable Dinosaur Sprinkler! 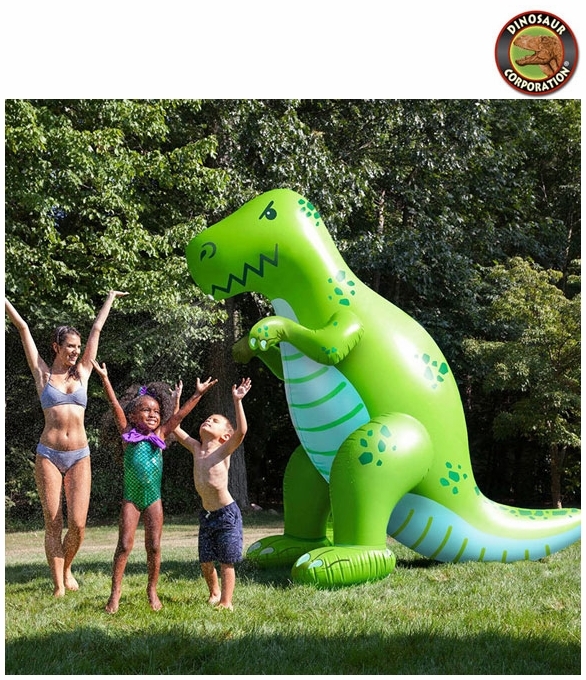 Whether you�re hosting a luau, beach party, pool party or dinosaur themed birthday party, this inflatable will keep you and your guests cool. Water sprays out of the dinosaur's snout for big fun on hot summer days.Featuring a ferocious expression and a bright green color, this dinosaur is sure to be a hit at your event!